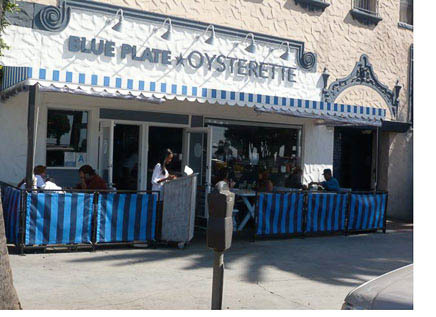 Blue Plate Oysterette is a relatively new (couple years) addition to Santa Monica’s high turnover Ocean Ave restaurant strip. And I’ve been meaning to do for awhile. The location is prime, with a gorgeous view of the park and the ocean. 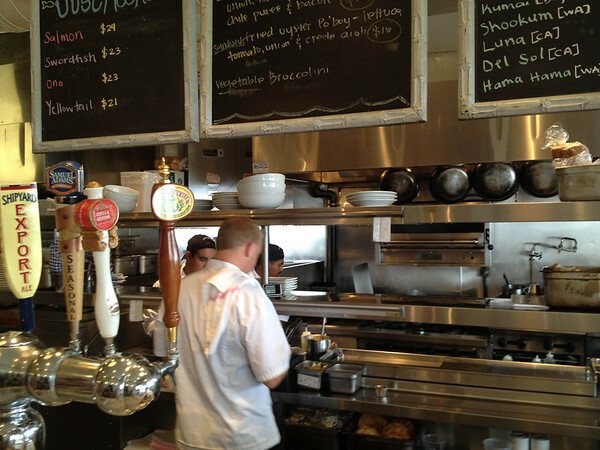 We sat at the raw bar, looking into the busy kitchen. Oysters were of course mandatory. 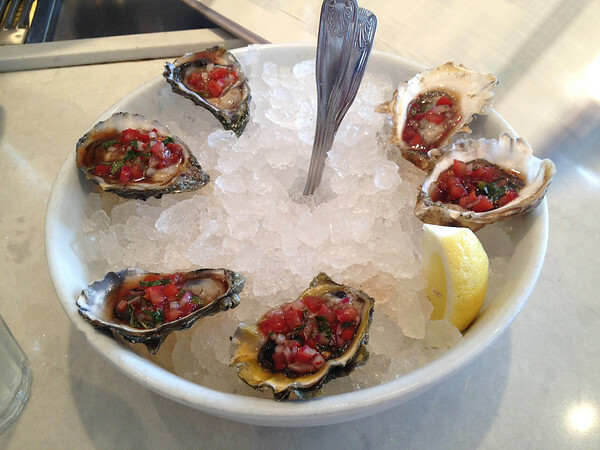 These are a number of different types of Pacific oysters Ximemez style (with aged sherry vinegar, tomato, mint, and EVO). They shellfish were all good, but I really liked the tangy sauce. 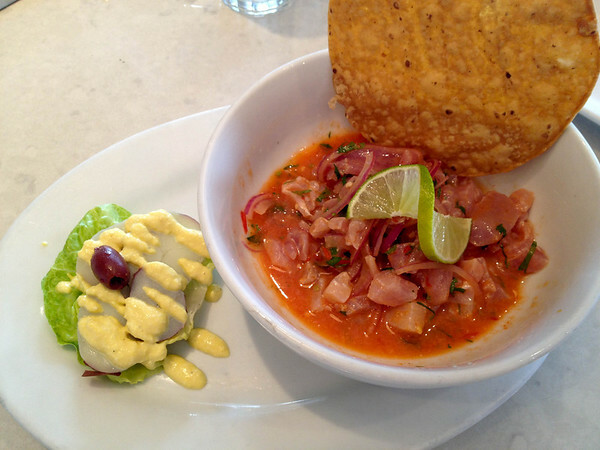 We were interested in the yellowtail special on the menu but the waiter cross-sold us to this yellowtail ceviche. Peruvian food is on fire right now. It was a good ceviche, with that potent lime taste, but it pretty much obliterated the subtlety of the fish. I wish we’d stuck with the original — but again, that doesn’t mean this isn’t a very fresh and well done implementation of ceviche. 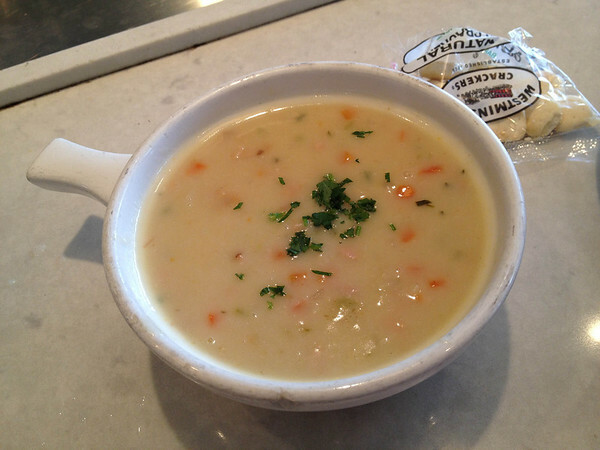 New England clam chowder. Cherrystone clams, light cream broth, bacon. This tasted good, with a nice smokiness from the bacon and lots of clam. They lightened it from the traditional in a concession to modern tastes. I like my chowder loaded with heavy cream and butter. And no wonder I’m not the thinnest guy in the world! 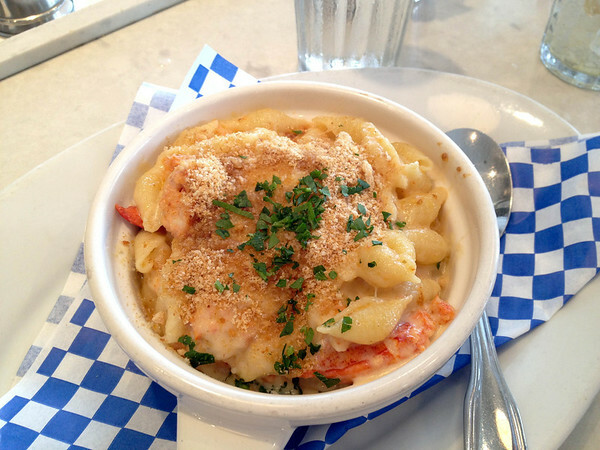 Another case in point, this “Lobster mac & cheese. gruyere, herbs, truffle oil.” This was real good stuff, with a lot of big chunks of lobster meat. “Crabcake.” Lots of good creaminess and soft blue crab in here. 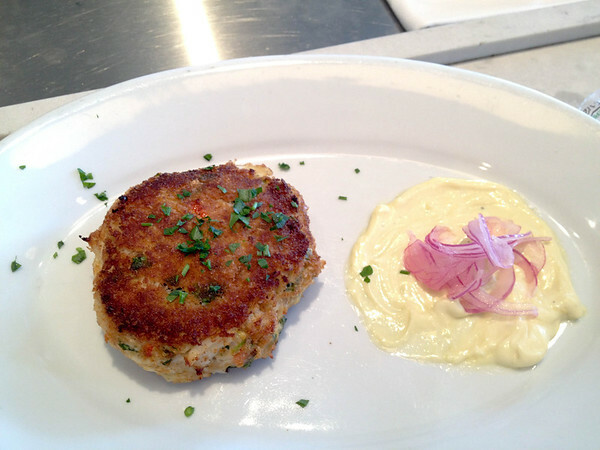 While not as good as the crab torta at Capo, it is a very respectable crab cake. Yum yum. And the “lobster roll.” Another favorite of mine. 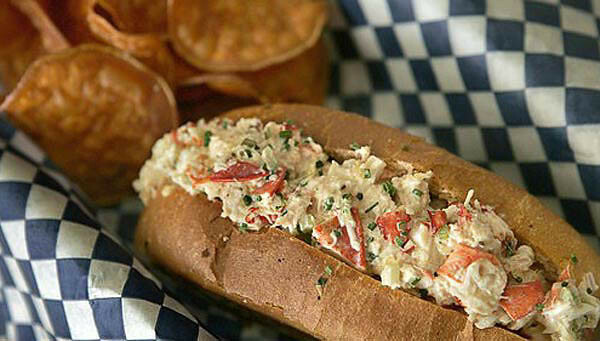 I didn’t actually order this, but they have it on the menu, and so I found a web photo, because I love lobster roll. It looks good. Next time I’ll try it to compare to the excellent one a mile north at The Hungry Cat. All and all, this was a good lunch, with classic (and new Peruvian) seafood. 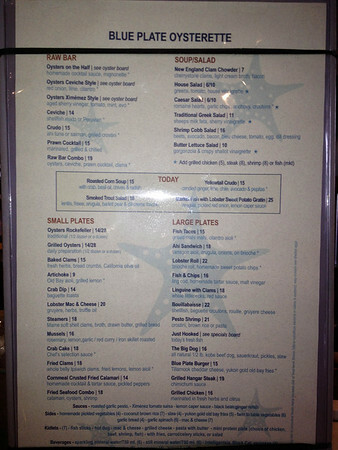 The fish was all very high quality, and being a seafood lover, I’ll be back.